Tom, Jerean, and their son Christopher have teamed up to bring a new and exciting dining and lodging experience to Old Mesilla and the Mesilla Valley. The family has a rich history as the owners of the historic La Posta De La Mesilla, one of the oldest and most recognized restaurants in the southwest, dating back to 1939. 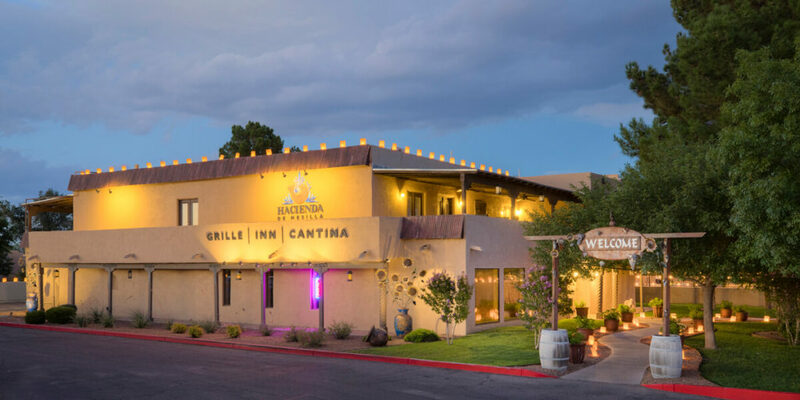 With the acquisition of the Hacienda de Mesilla Grille, Inn & Cantina, the Hutchinsons believe visitors to Mesilla will enjoy the comfort and elegance of a stay in a southwestern Hacienda, while being just steps from enjoying the history and culture of Old Mesilla. The Hacienda Inn, Grille & Cantina is uniquely designed to offer an inviting, relaxed atmosphere where guests can enjoy a casual, yet elegant dining experience. Dine in our more formal Grille Room or in the casual atmosphere of the Hacienda Cantina indoors or outdoors, with spectacular views from the Cantina Terrace.